It all started when I was young, I did not realize it at the time, but an obsession was starting to take hold. Hours would be spent on the floor of my room, sorting through thousands of pieces of molded plastic, in search of that elusive part I needed. I would continue this ritual throughout my school days, until adulthood. Then the dark ages began. My love for Star Wars would allow me to indulge in buying a few sets here and there, and my new bride innocently purchasing a couple of UCS for Christmas. I soon slipped back into the dark ages, then one day as we celebrated another trip around the sun, my brothers-in-law presented me with a large box wrapped in paper. As I carefully peeled back the paper, a magnificent pirate ship was revealed. The obsession came flooding back, and I knew a new dawn was upon me. Fast forward to today. I am a follower of Jesus. Husband to the most amazing woman. Father of two amazing girls who help keep me feeling young, and who I can share my obsession. 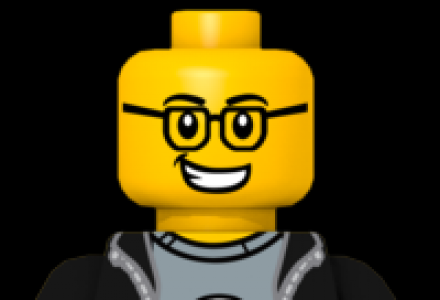 If all goes according to plan, I hope you will find insightful news, reviews, and other fun bits of information in regards to the LEGO® universe. I’m just a guy who wants to build!